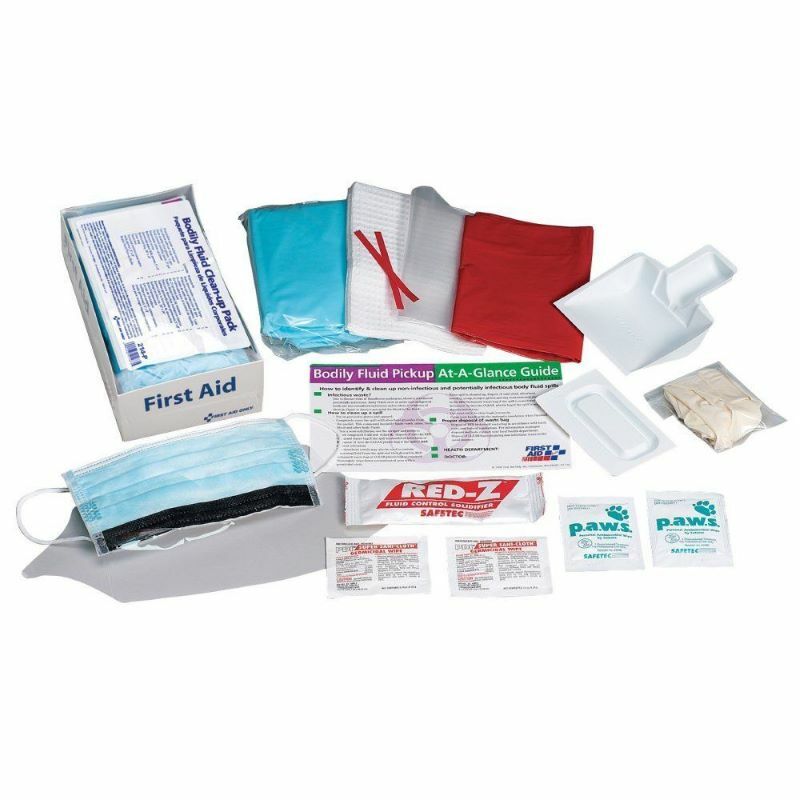 First Aid Only Bloodborne Pathogen Body Fluid Clean Up Pack is a convenient 16 piece personal protection body fluid spill kit that consists of a disposable tray that is small enough that an organization can include in a first aid cabinet or store in a convenient location. It includes all of the necessary contents for a very compact body fluid pick up kit. Bloodborne kit contents are contained in a disposable tray for a one-time use. Pack Dimensions: 4-1/8"x7-1/2"x2-1/4"